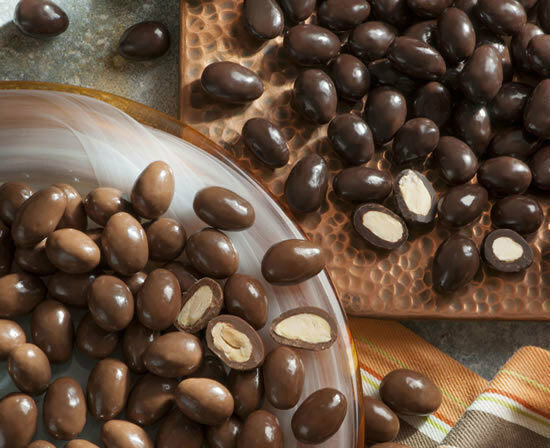 Double-dipped in rich milk chocolate or dark chocolate with a 65% cocoa content, our crunchy almonds are a tasty and wholesome treat. Keep plenty of these around! Shipped cool weather months only. While these are amazing, I do prefer the milk chocolate covered cashews over the almonds. I guess it is just whether you like almonds or cashews better. Wow! What a way to eat almonds! These are irresistible with a perfect milk chocolate taste. You will have to hide them to keep from eating too many.